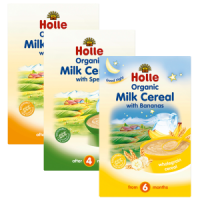 One of three Holle's instant milk cereals. 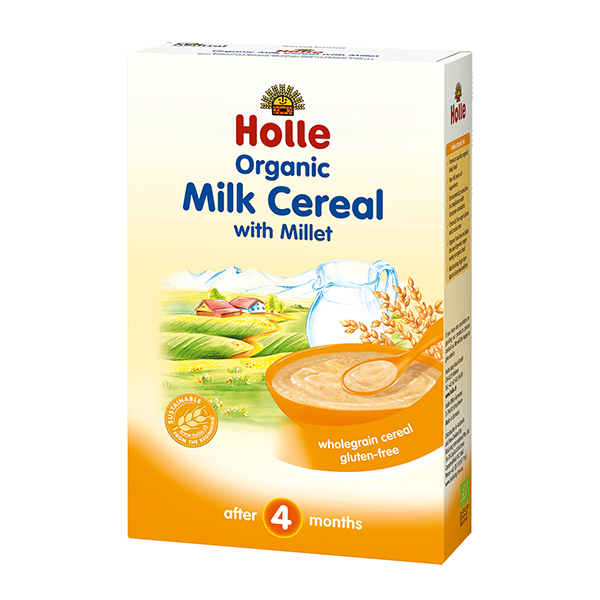 Holle Milk Cereal with Millet is unsweetened and quick to prepare. Vitamins and minerals which a baby needs, but cannot be supplied within the natural mix of ingredients, account for less than 1%. These are added in line with the EU provisions on infant cereals. 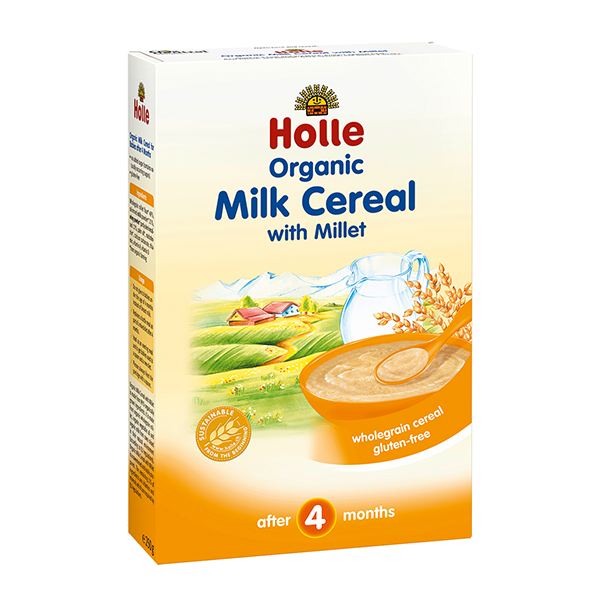 Organic Milk Cereal with Millet has a mild flavour to suit babies. It is easy to digest due to the fact that the starch is already broken down.Millet is a gluten free grain. Gluten free, contains dairy, no added sugar, no added salt. 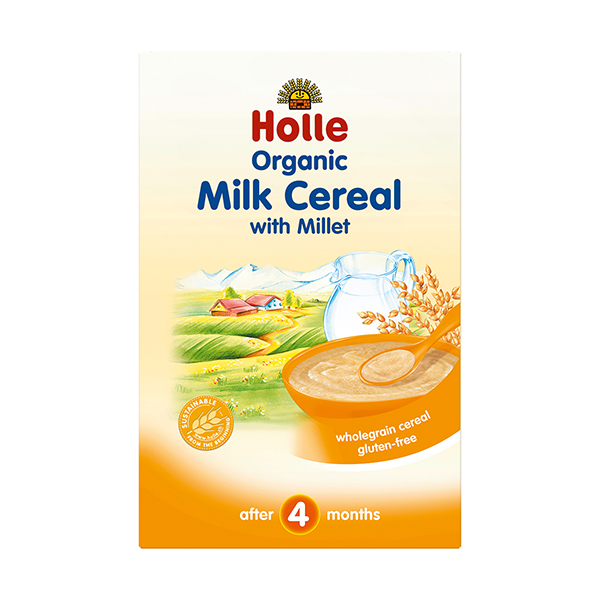 Suitable for babies at second stage of weaning as part of a mixed diet. So good and healthy nutrition in one box. My daughter love that. Just natural sugar. Love that. My little enjoys a lot Millet poriage with Milk. It's so tasty and delicious. Very light and fluffy texture, just meltining in the mouth. And being a mum it's so quickly to prepare, just as water and stir and the most healthiest and nutrisiest meal is ready. I love consistency of this cereal, it is so creamy ,as with other milk cereals i give it to my baby from the bottle if I I want her to settle and be full. It fills her up better then milk. It is perfect on the go, as she hates eating out. So this cereal in the bottle does the trick, and it is so easy to make. We love it! Highly recommended. Super fast delivery. Nicely packed. Excellent product ! Brilliant, my baby absolutely loves it.